Finlandia Foundation National Performer of the Year (POY) for 2010! 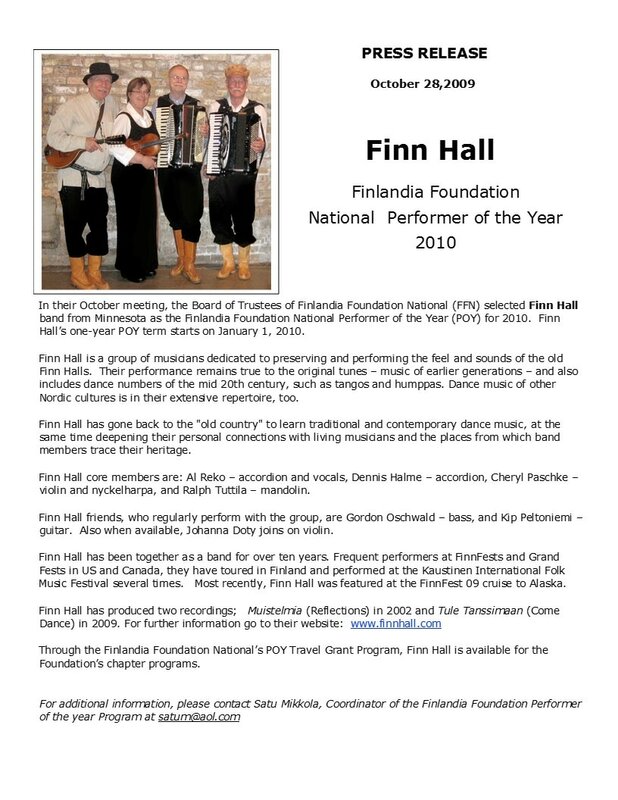 In their 2009 October meeting, the Board of Trustees of Finlandia Foundation National (FFN) selected Finn Hall band from Minnesota as the Finlandia Foundation National Performer of the Year (POY) for 2010. Finn Hall’s one-year POY term began on January 1, 2010. Through the Finlandia Foundation National’s POY Travel Grant Program, Finn Hall is available for the Foundation’s chapter programs.